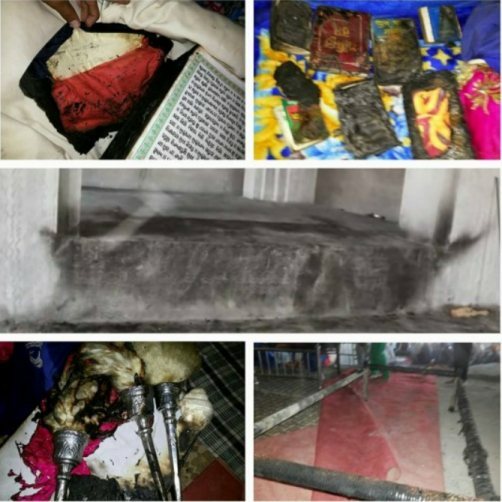 TARN TARAN, PUNJAB - A tragic, saddening and outrageous incident was reported from Jodhpur village near Tarn Taran where a Saroop of Sri Guru Granth Sahib Ji burnt by some miscreants connected to the Noormhealia cult. 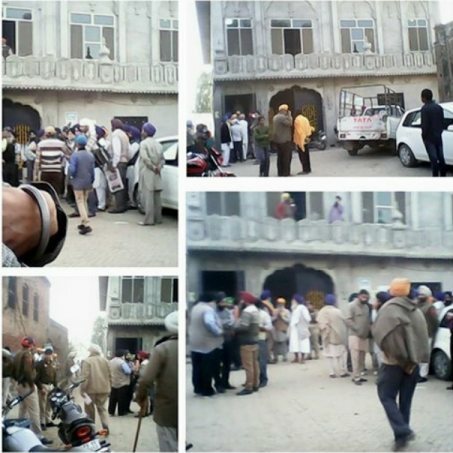 Locals Sikhs suspect the hands of controversial Noormehal dera followers behind this incident. This is the same village where the Noormehal Dera followers had fired at Sikhs in which many Sikhs including Damdami Taksal (Ajnala) head Bhai Amrik Singh Ajnala were injured. 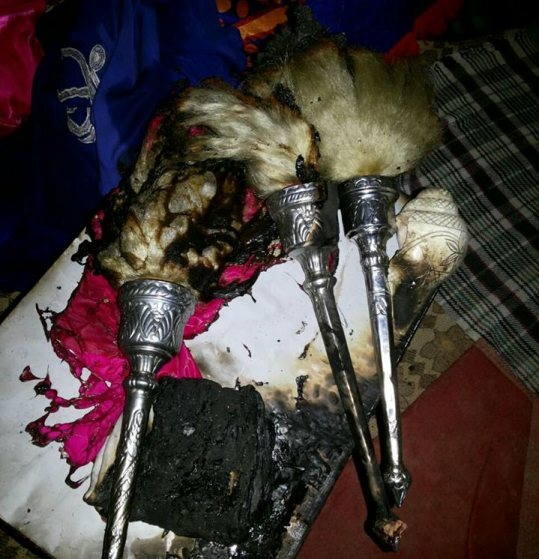 Bhai Balbir Singh Muchhal of Sri Guru Granth Sahib Satikar Committee who reached village Jodhpur (near Tarn Taran) after receiving information about the incident told Sikh Siyasat News (SSN) over phone that ‘Parkashman’ saroop of Guru Granth Sahib Ji was burnt along with ‘Nitnem Pothis’ and ‘Chaur Sahib’. He said that the incident took place around 2:30 (pm) in the afternoon when the Granthi Singh was out of Gurdwara Sahib. Soon after receiving information about the incident the Sikhs from various adjoining areas started to reach Gurdwara Sahib of village Jodhpur. Though Punjab Police personnel had also arrived at Gurdwara Sahib senior officials, including Senior Superintend of Police (SSP) and the Deputy Commissioner (DC) were yet to visit the spot. Sikh sangat was outraged over the incident. Sikh organizations have demanded strict and early action against the culprits. The incident coincided the Punjab and Haryana High Court’s order directing the administration to cremate dead body of controversial godman and Noormehal based Divya Jyoti Jagriti Sansthan (DJJS) head Ashutosh’s dead body. Ashutosh had died on January 29, 2014 but his dead body is kept in freezer by dera management who claimed that Ashutosh was in meditation.